Y’all May Think We Talk Funny, But The World Takes Our Music Seriously. - Mississippi Believe It! Home » Resources » Campaign » Y’all May Think We Talk Funny, But The World Takes Our Music Seriously. Slow. Southern. Drawl. A touch of country twang. Some people think we sound funny. Except when we’re singing. From the father of country music … to the king of rock ’n’ roll … to the birthplace of the blues. For decades, Mississippians have been scoring the soundtracks of peoples’ lives. 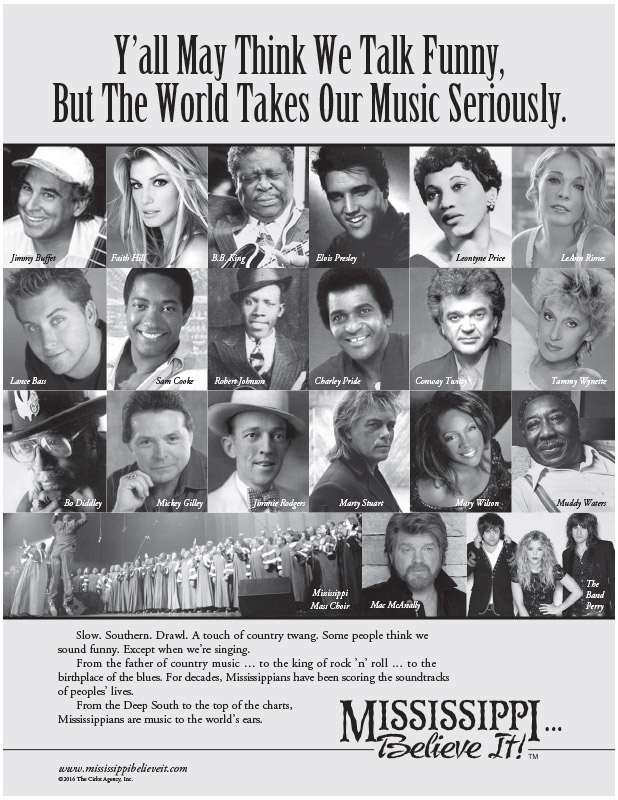 From the Deep South to the top of the charts, Mississippians are music to the world’s ears.